Nicholas, Bishop of Myra, was born in the late third century AD. As a young man, he dedicated his life to God. He was made Bishop of Myra and became known for his generosity to those in need, love of children, and concern for sailors and ships. He died on 6th December 343AD, and this is now kept as his saint's day. Lots of stories and legends sprang up around Nicholas, and at some point he even 'morphed' into Santa Claus! 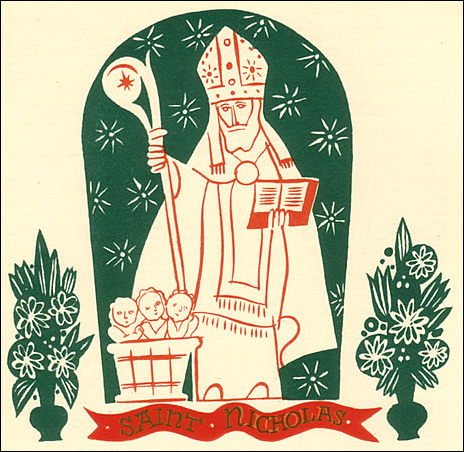 The St Nicholas Center site has lots of information about him, including how countries round the world mark his day. Barnabas in Churches has two ideas for using with children.